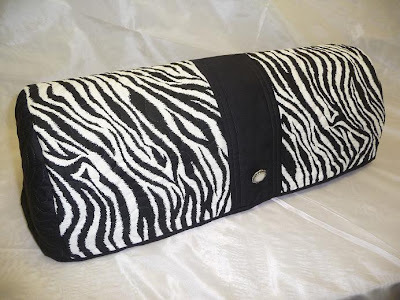 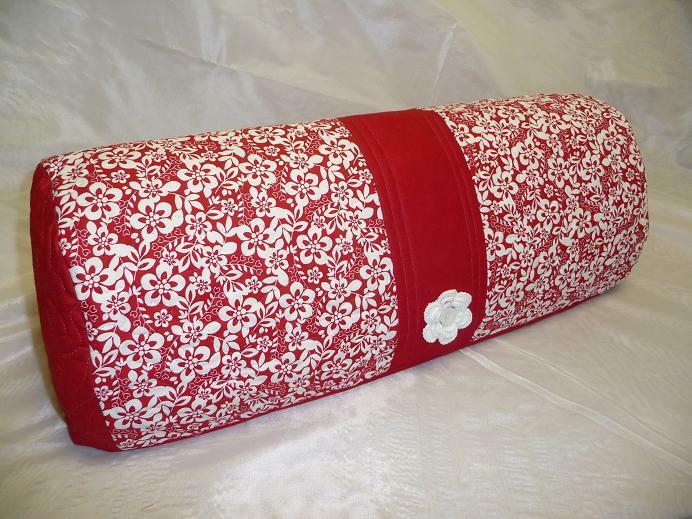 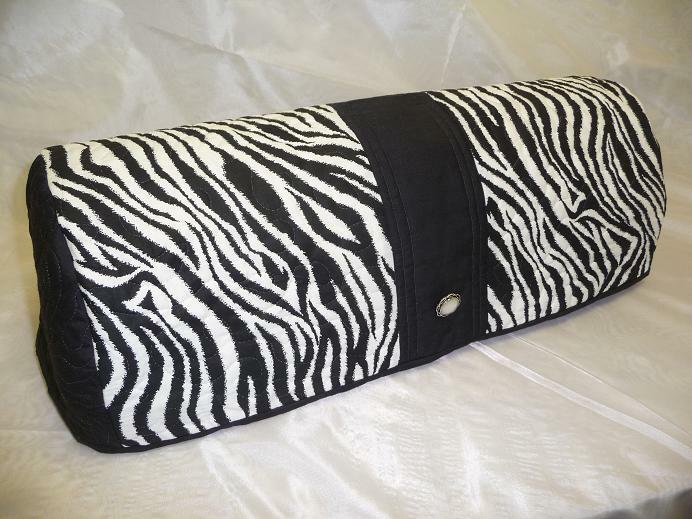 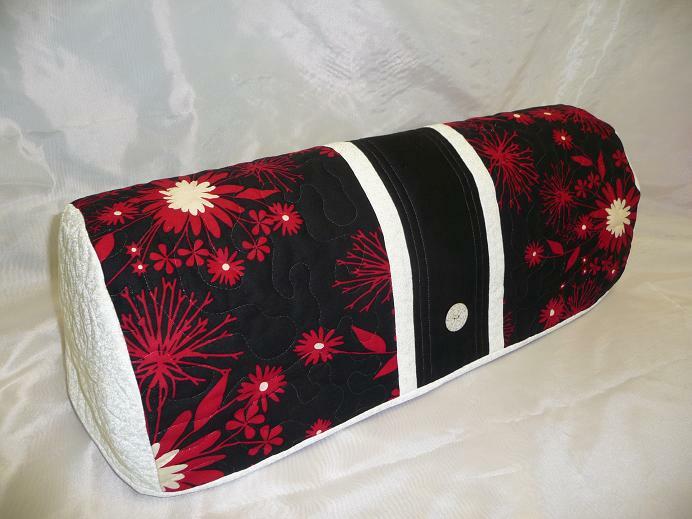 This exotic cozy features fabrics in shades of cream, white, black, and vibrant red. 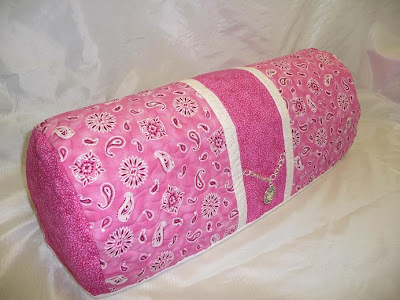 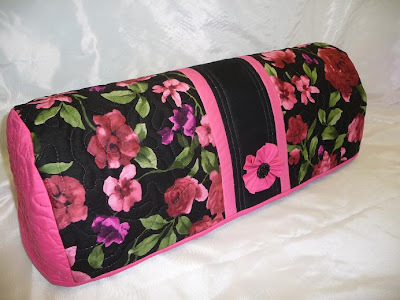 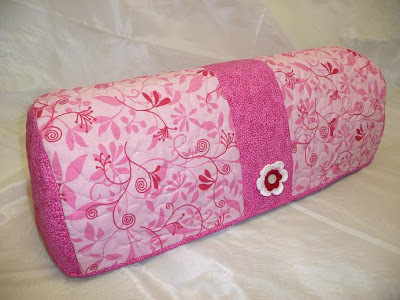 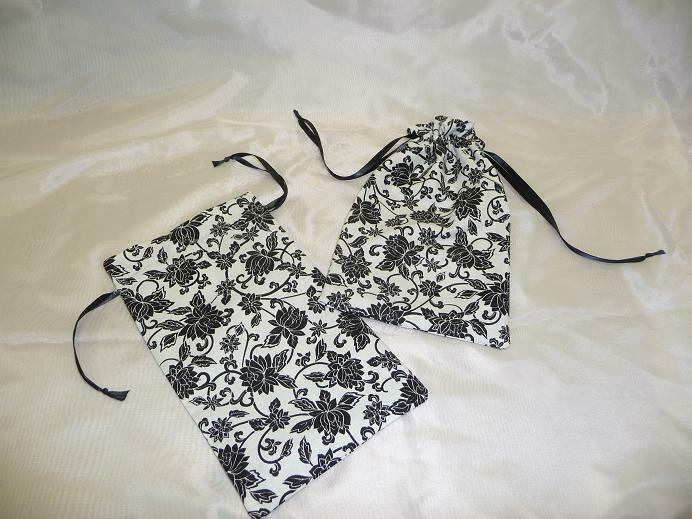 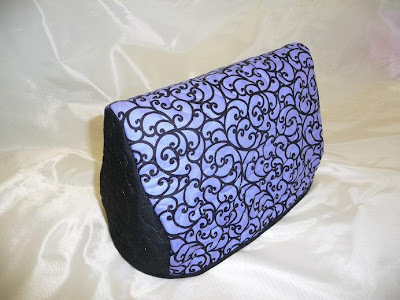 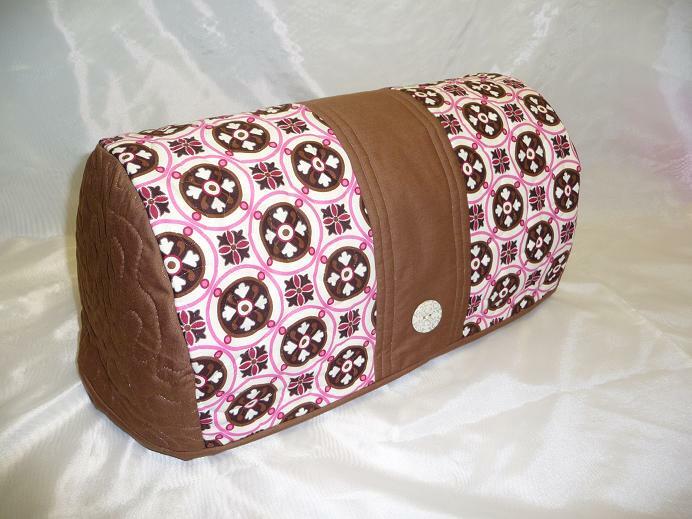 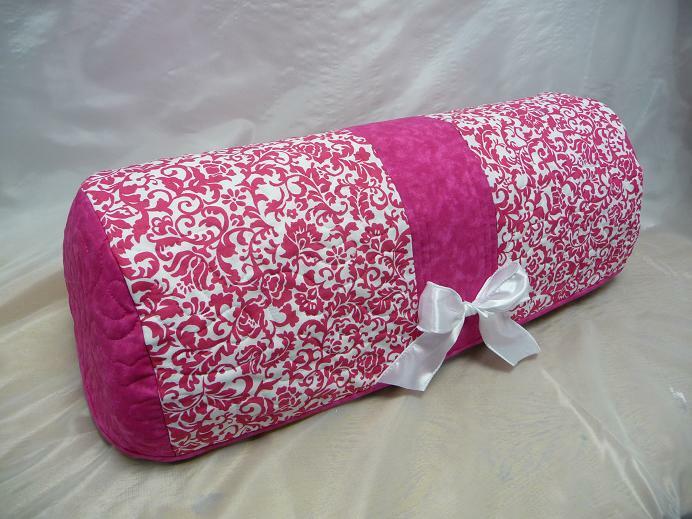 This is an elegant cozy featuring a pretty black design on a light pink background. 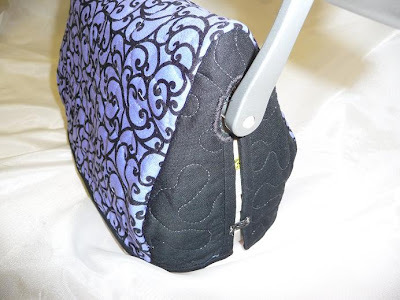 Button shown is unavailable, but an equally pretty embellishment will be substituted. 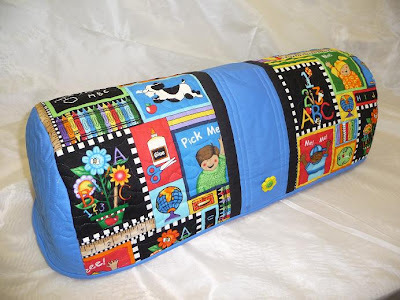 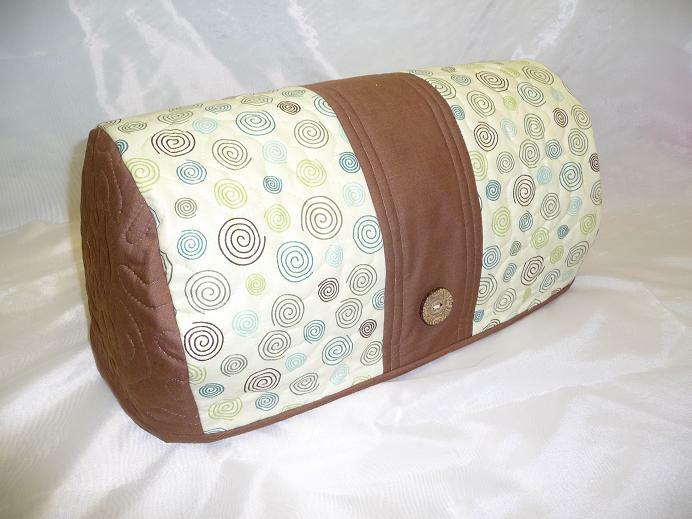 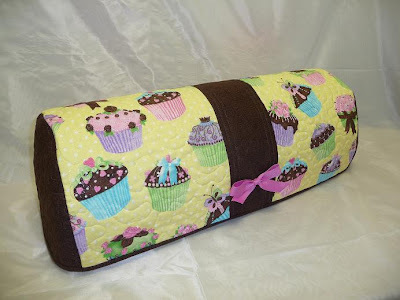 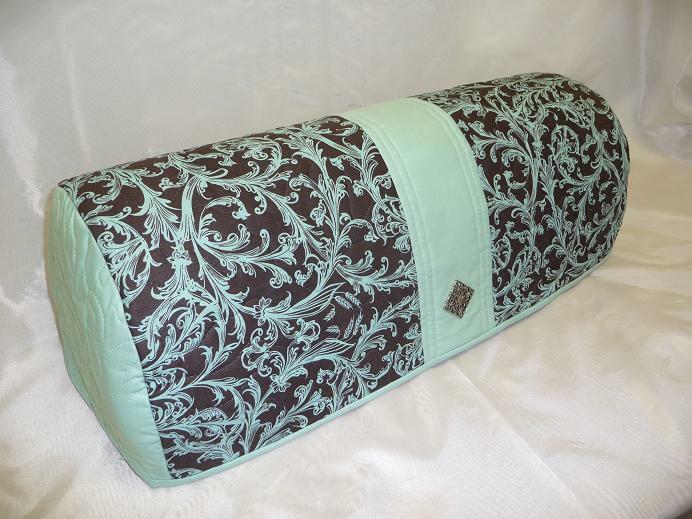 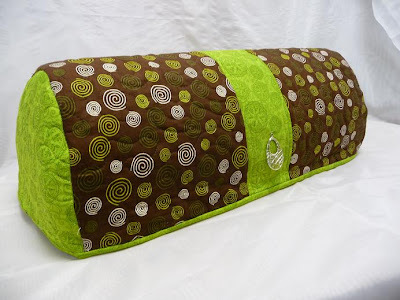 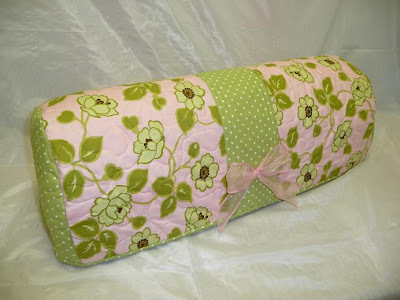 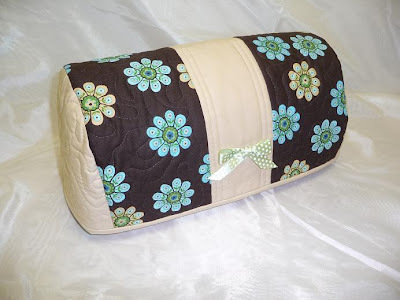 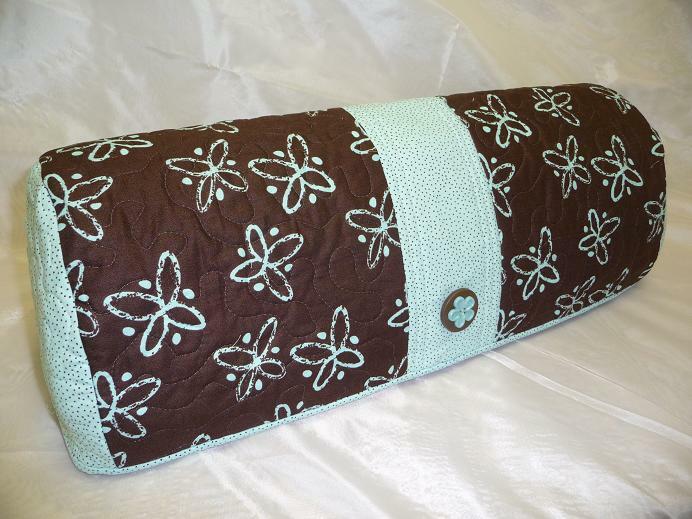 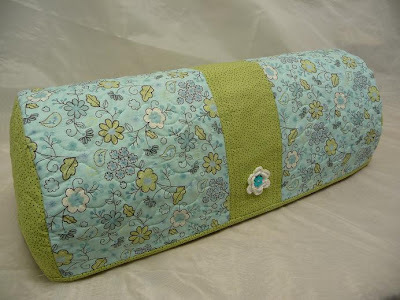 This is an elegant cozy featuring seafoam green and chocolate brown fabric. The silver medallion embellishment coordinates nicely! 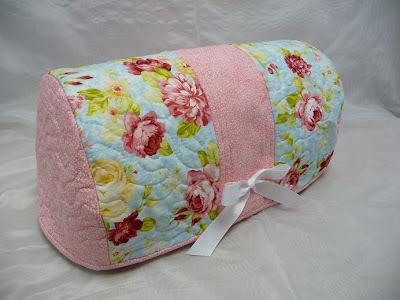 This beautiful floral cozy features pale pink and yellow roses on a light blue background. The white bow is the perfect finishing touch. 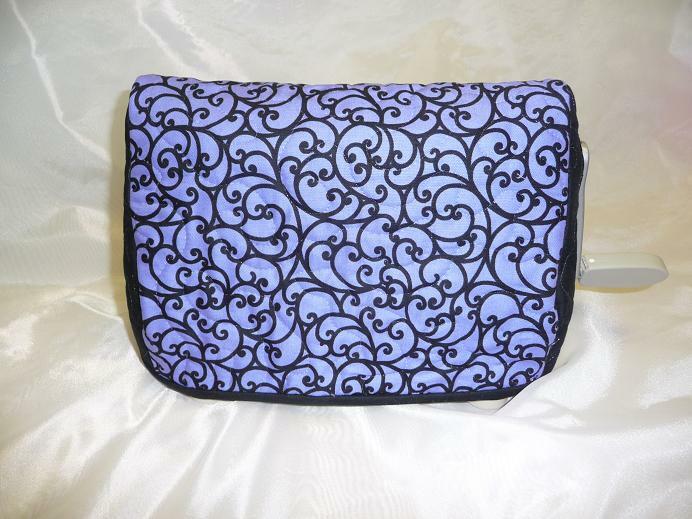 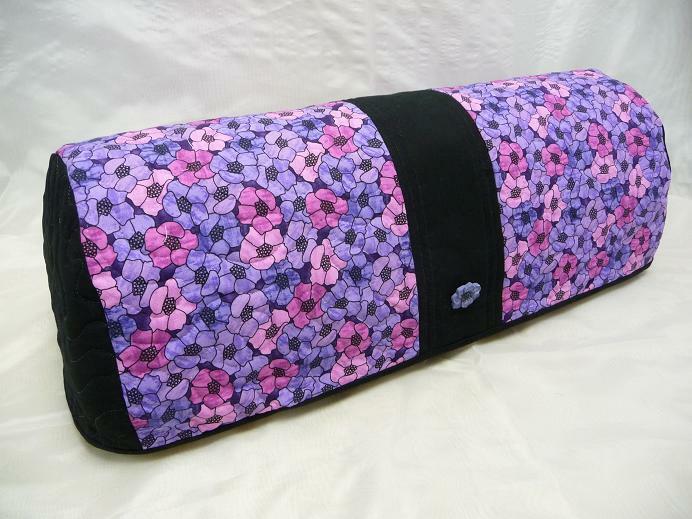 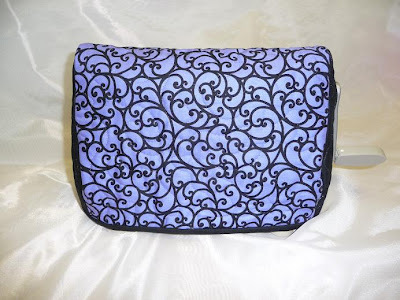 This pretty floral cozy features pink and purple pansies and a matching purple pansy button embellishment.